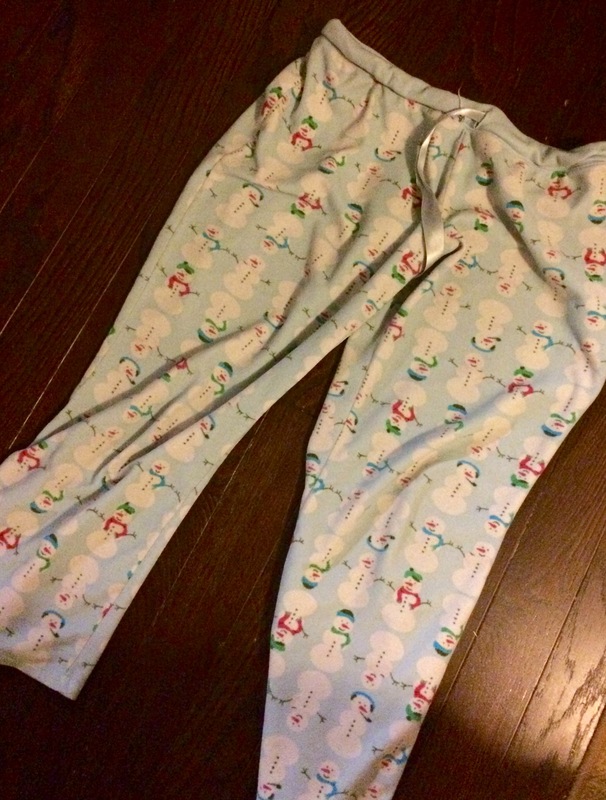 Every day, instead of getting dressed and showered, I’d be content to sit around in my snowman pajama bottoms. I’ve written about these P.J.s before, over on my personal blog (which has sadly gone by the wayside). You know how some clothes just make you feel good? Well my snowman P.J.s make me feel comfy. They’re like walking around in a blanket all day long. It’s like having someone’s arms wrapped around you without all the extra weight. It’s like biting into your mom’s homemade casserole after you’ve been away at college for three months. I can’t say enough times that I LOVE my snowman P.J.s. They’re part of my tangible comfort zone. Do you have a comfort zone? I have always been a person who has had firm routines, firm traditions, and, yes, even clothes that make me feel comfortable, happy, and most like myself. When I first started writing, my comfort zone included not letting anyone seem my work. If they did then GASP, they might not like it! They might ask me difficult questions about the meaning behind my work. They might draw conclusions I didn’t come up with. They might tell me that I’m a horrid writer and not to ever bother picking up a pen. Good thing, most people don’t tell this to an inspiring writer (except maybe agents, but I haven’t gotten that far yet, and I’d hope they’d have more couth). They do, don’t they? As a writer, I’ve had to step out of my comfort zone more often than not. One of the things that most scares me as a newbie writer is public speaking. I hate public speaking. In 9th grade, World Cultures I had to do a book review on The Black Death, which I hadn’t even read (sorry Mr. Roberts—I skimmed it). I had to stand in front of a whole group of fourteen years old, and I was an awkward fourteen year old myself who felt like everyone in the class was noticing my bald spots or seeing me naked—I couldn’t figure out which one was worse at that age. And I said “um” exactly 52 times. How do I know it was 52 times? Because Mr. Roberts told me when he asked me to stay after class. He said he’d give me one more chance the next day. He gave me some tips, and I pulled it off the next day pretending like I was having a personal conversation with my friend Allie the whole time. Mr. Roberts didn’t eliminate my fear of public speaking, but he did give me ground rules for how to deal with a situation that made me uncomfortable. That’s the first step when we’re out of our comfort zone, right? Find something to make you comfortable–a point of relation with your audience, a realization that the person who is reading you work is a human like you–heck, they may even be a writer like you, and the ability to problem solve and find a way to calm your nerves in a new situation. Stepping out of your comfort zone helps you grow as a person (and as a writer, if you are one). If I’d never let anyone see my writing, I’d still be unpublished. If I’d never done a fake book review on the bubonic plague then I’d be even more afraid of public speaking than I currently am. Take off your snowman pajamas, try on something new, and see how much you can achieve! I struggle with getting outside of my comfort zone. Like you, I’ve been content to writing out drafts on my composition book, refusing to share it with anyone. Over the last few weeks, however, fellow writers on Twitter–including you–urged to step outside of said comfort zone; to type out my drafts and submit them to fellow writers for critique. So, I have. I want to expand on this principle to my writing, in general. Most of my stories have featured young protagonists–the son fresh out of school–dealing with the hardships of growing up. I am looking to get away from those tropes. I am looking to write stories with older protagonists, not just males, dealing with real adult subjects like death and infidelity. Although I don’t know much about some of these matters, I’m willing to take such risks. I feel they would be beneficial to me as a writer. I think that’s when we truly grow as writers (and people) when we do something new and unexpected! I read your piece this morning, by the way! Expect an email from me this weekend.